The Green Bay Packers have found the man to lead them for hopefully the next decade or more if all goes well. And like they did with former coach Mike McCarthy, they hired a young, up and coming offensive mind to lead the team. 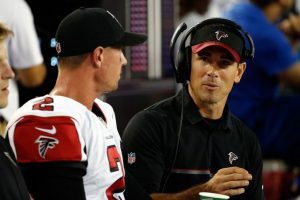 This time, with Matt LaFleur being named head coach, they went even younger and less experienced. You all already know the background of LaFleur so I won’t go over that. I will say, he was definitely on my radar since probably about the middle of December when I started to look at guys that might be available. Certainly wasn’t at the top of my list, but I liked his background. And in recent weeks, from what I have read, I liked his demeanor over the likes of Jose McDaniels or Adam Gase. I actually was intrigued a little by Jim Caldwell and Joe Pagano. Caldwell took the Lions to the playoffs two out of four years for heaven’s sakes. Pagano was a victim of one of the worst general managers in NFL history and still only had one losing season. But I was still was hoping for new blood, and damn, LaFleur is that! Dude wasn’t even in the NFL in 2014. In what was not a deep field of candidates, I think the Packers did the right thing in jumping on LaFleur. He will keep Mike Pettine on defense and I think, again, from what I read, he will be a good fit with Aaron Rodgers. Rodgers needs a new challenge and if this works out the way we all hope, Rodgers will be the next quarterback playing into his 40s. I can’t wait for his opening press conference. But even before hearing it, I am happy with the choice, and think it was the right decision to move quickly to get him. "Let's be one mind, one heartbeat, with one purpose, one goal, one more game. One."